The most thrilling season in the history of the German Handball Bundesliga came to an end last Saturday, when THW Kiel became German champions for the 19th time. Before the last match day, Rhein Neckar Loewen and THW Kiel were equal in points and Loewen were ahead by seven goals. In the Bundesliga, the final ranking is decided by the goal difference if two teams are equal in points. Kiel had to play against Füchse Berlin on home ground, while Loewen played at VfL Gummersbach. Both matches started at the same time and at half time in Kiel (17:8) and Gummersbach (21:19) both sides were not only equal in points, but also in goals. Kiel managed to win 37:23, while a 40:35 win at Gummersbach was not enough for Loewen to win their first ever domestic title. Now that the nerves have calmed down the next event is around the corner. On the upcoming weekend, the VELUX EHF FINAL 4 will bring together Europe’s four best handball teams in the Lanxess arena in Cologne. The VELUX EHF FINAL 4 is more than a sports event. Cologne welcomes fans from across the globe for a weekend of handball, fans and entertainment. Apart from the renowned Spanish top club FC Barcelona and the Hungarian champion KC Veszprém, two teams from the German Handball Bundesliga have qualified for the Final Four of the VELUX EHF Champions League: SG Flensburg-Handewitt and the newly-crowned German champion THW Kiel. The Final Four tournament in the Lanxess Arena in Cologne will be like a home game for the German teams. Both THW Kiel and FC Barcelona have participated several times in the biggest event in international handball. FC Barcelona won the EHF Champions League title five straight times from 1996 and 2000 as well as 2005 and 2011. With a low odd of 1.65, Barcelona is the top favorite to win the Final Four tournament. Kiel won the title three times and most recently they lifted the trophy in 2012. For that reason, Kiel is behind the Catalans and the bookmakers will offer an odd of 5.00 for a victory of the newly crowned German champion. If the team of coach Alfred Gislason can show the same performance as they did in their last Bundesliga game against Füchse Berlin, this could be an opportunity for a good return on your bet. The Hungarian champion Veszprém is close behind the two top clubs and is considered to be a secret tip for the bettors. Veszprém is the first Hungarian side to qualify for the VELUX EHF FINAL4, however, they were able to win the European Cup Winners’ Cup two times. Most recently, the team of coach Antonio Carlos Ortega managed to win the Hungarian league title seven times in a row. The German team SG Flensburg-Handewitt is regarded as an outsider. The team from Schleswig-Holstein is third in the German Bundesliga and has qualified for the semi-finals with a narrow win over Skopje. However, Flensburg can draw on their experiences as they played against THW Kiel in the Champions League final 2007 and suffered a narrow defeat. Nevertheless, the bettors do not have much confidence in the team of coach Ljubomir Vranjes. The bookmakers offer a high winning odd of 12.00 for Flensburg. At the VELUX EHF FINAL 4, Kiel will face Veszprém in the first semi-final (Kiel is slightly favored at 2.20), while FC Barcelona meet SG Flensburg-Handewitt in the other semi-final (winning odd of 7.00 for Flensburg). The final will take place on Sunday. 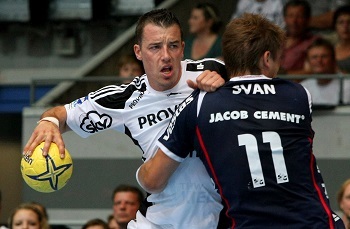 We have collected and compared all the odds for the upcoming VELUX EHF FINAL 4 here. This entry was posted in Sportsbetting news and tagged ehf final 4, ehf final four betting, final four odds, odds comparison final 4. Bookmark the permalink.